The Stockport War Memorial Art Gallery will be at the heart of the commemorations. Financed by donations from the public, the war memorial was inaugurated in 1925 as a place of calm and reflection to give thanks to those who returned and to remember those who sacrificed their lives for this country. Remembrance Sunday (11 November 2018) will begin at 10:30am with the annual parade and service on the steps of War Memorial Art Gallery. 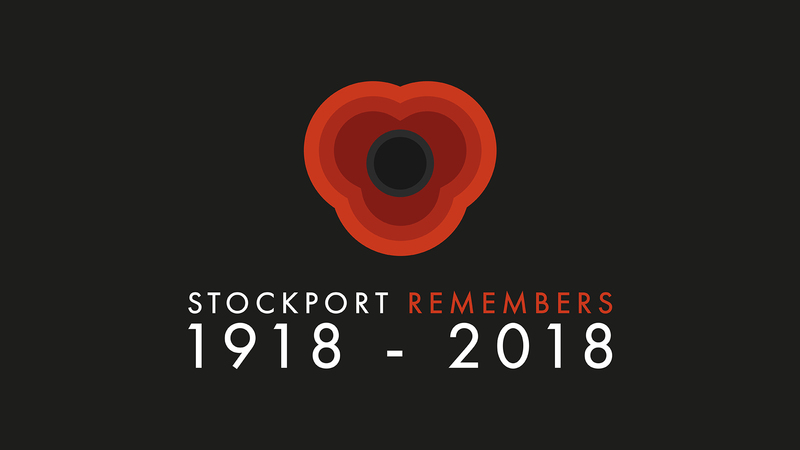 The Mayor of Stockport, Councillor Walter Brett, will join local dignitaries and representatives of the armed and uniformed services past and present. Two minutes’ silence will be observed at 11am. A Commemorative Service of Thanksgiving will be held at St. Mary’s Church in the Market Place at 5pm. At 5:45pm, a Stockport Parade of Light will process from St. Mary’s Church to Stockport War Memorial Art Gallery. Led by the combined marching bands of Citadel Brass and Stockport Silver Band, schools, community groups and local people will carry 200 lanterns made for the occasion. At 6pm, the Lantern Parade will stop at St. Peter’s Square for a theatrical piece called ‘When We Were Young’. This drama monologue will journey from the trenches, to a field hospital to life back at home in peacetime Britain and is performed by local actors from ‘Take Part in the Art’. ‘A Cry for Peace Around the World’ will be read out and a lone piper will play ‘The Battle’s O’er’. The Lantern Parade will then assemble at the foot of the War Memorial Art Gallery steps at 6:50pm for the lighting of Stockport’s beacon. This symbolic act is being carried out simultaneously across the UK and home territories, where 1000 beacons of light will be lit at 7pm. Local churches will peel their bells and ring out for peace. The front façade of Stockport War Memorial Art Gallery will be illuminated with a projection of poppies. Stockport War Memorial Art Gallery will remain open until 9pm. All of these events are free and everyone is welcome to participate.